Okay, it wasn’t “The Game of the Year” after all as host and No. 2 ranked Archbishop Curley ripped top-ranked John Carroll, 9-2, on a splendid sunny day in Baltimore on Tuesday. The victorious Friars clinched either the No. 1 or No. 2 seed in the MIAA A Conference post season 6-team double elimination tournament. Previously, John Carroll had clinched the same. Senior Curley stud Paul Nixon, and that’s an understatement, put on a show while visiting John Carroll’s ace left-hander Nick Collier did not pitch. Collier fired a no-hitter with 14 strike outs to blank Curley, 3-zip back on April 6 in Bel Air but his coach Darrion Siler hinted after the game on Tuesday that he preferred to save Collier for the playoffs against Curley. By turning the tables on the Patriots, the Friars ran their area best overall record to 23-3 and their winning streak to 11 games while Carroll fell to 17-2. Each of the two A Conference leaders now has two losses in league play, but Curley has two more wins at 14-2. If they would end in a tie for first place, the tie-breaker would go to John Carroll as long as No. 3 Calvert Hall can hold third place. 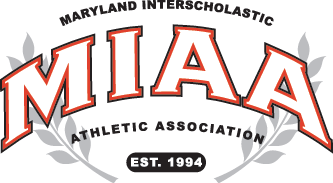 JC swept the Cardinals, while Curley dropped its only meeting thus far with Calvert Hall. If the Cardinals slip back, the tie-break could shift in Curley’s favor. With their star performer in Collier not on the bump against the Friars’ Nixon, who is having an incredible senior season, the Curley ace easily became the headliner and the beloved 6-foot-3, 240-pound pitcher/slugger didn’t disappoint. Nixon pitched and batted the Friars to big win. Nixon went all seven, innings on the mound scattering seven hits, striking out 11, hit a batter, but did not issue a walk to any Patriot in throwing 93 pitches. His intimidating presence in the batters box as the Friars’ No. 3 hitter, produced three hits, including a two-bagger in three trips and one RBI. The Curley standout is 7-1 on the hill (only loss to Riverdale Baptist in a non-conference defeat) and has belted nine dingers when he picks up his metal bat. Oddly enough on the hill, Nixon had a rough first inning and closed with a bad final frame just as he had in his previous outing, a 6-4 win over No. 12 Archbishop Spalding last week. The first four Patriot hitters each got a hit to start the game in Grant Astle, John Gallant (double), Ryan Archibald and Collier. Archibald’s single knocked in a pair before Nixon got it together and fanned the next three hitters to end the inning. The Patriots did not get another hit, or base-runner, until their final at-bat as Nixon dominated with his fastball and slider. In the last inning, John Carroll got singles from Stelio Stakias, Nico Santoro and Brad Hock to load the bases. Nixon proceeded to retire the next three batters, two of them via the ‘K,’ to bring down the curtain. He had done basically the same thing against Spalding. When he did shut the Pats down, it was mainly because of his fast ball and two-seam slider as he retired the next 17 Patriots in succession before plucking Collier with two outs in the sixth. Meanwhile, the Friars erased their 2-0 deficit with four runs in the bottom of the first highlighted by a bases clearing two-bagger by senior outfielder Corey Burton and never looked back. The Friars added another pair in the second on a double by senior catcher Trent Gast-Woodard, who is as good a defensive catcher and handler of pitchers as there is in the metro area. Gast-Woodard was 2-for-4 on the day. He figured in the next run in the fourth when his single moved Nixon’s courtesy runner Jordan Stroud to third after the former had doubled. Stroud scored easily on a bingle by Nick Brown. Curley closed the scoring in the bottom of the fifth as knocks by Jalen March and Nixon rung up the final two tallies for nine runs. “We typically hit a lot of home runs, but we didn’t have to do that today,” said Curley coach Brooks Norris, who was an All-Metro pitcher/first baseman on legendary late coach Al Frank’s last A Conference champion team in 2001 and the school’s last champion as well. 2B: JC-John Gallant; AC-Corey Burton, Gast-Woodard, Nixon.